I’ve only been to Edinburgh, years ago, and someday will hopefully visit the northern part. I had a look at that yesterday and will definitely check out at least one thing on that list sometime soon (meaning sometime in the next two-three years). Thanks for making the list! This is awesome! I am so checking it out! I can’t wait to look at it – what a great idea Wendy. My husband and I were planning a trip to Inverness in September but had to cancel for his health reasons. 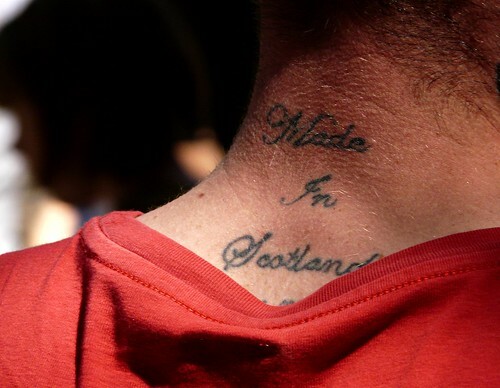 We both still long for Scotland, and hope we can return in 2012. Oooooh that’s a rockin’ list… so many great ideas! Wish I could jump in the car right now. OMG! You live in such a beautiful and wild part of the world — I want to come back! Thanks for creating “your favourite places” look forward to pursuing it when I have a bit more time. What’s fabulous about your list is that it’s local recommendations by a local. I live in a touristy town, and there’s a lot more to see/do than the brochures recommend. Wow. I really feel as if Christmas has come early this year, and this page is a most marvellous surprise gift! The things is, we’re planning to travel to Scotland in the early summer next year – we’ve already visited some of the Lowlands in 2009, but this time we’ll be trekking through the Highlands and exploring the North, so a guide on where to go and what to see, written by a resident no less, would be a super useful thing to have. I’d probably never thought to contact you for advice (“Silly girl, why do you think Ms. Wendy would want to waste her time answering your questions, when she could be taking photos or whipping up some delicious dishes?”), and now I feel as if I’m being let on a special secret. Thank you so much for sharing this!